Sinus infection, also called sinusitis is a common infection which affect circa 35 million Americans each year. Your sinuses, when healthy, are filled with air, but when they become blocked and filled with fluid, germs can grow and cause an infection which then leads to inflammation or swelling of the tissue lining the sinuses. 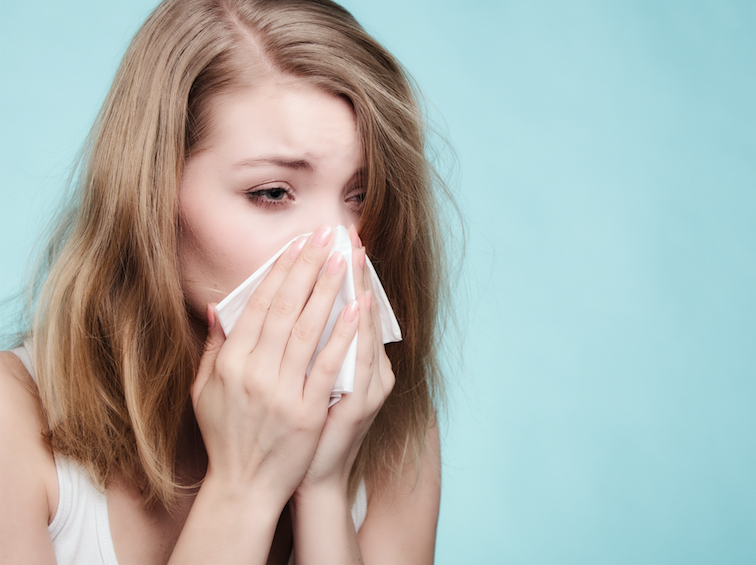 Doctors at RiteCare Medical Center – your reliable medical center in Hialeah, share their best advice on what to do or not to do when you have sinusitis. Good news: sinusitis isn’t contagious so you won’t spread sinusitis to classmates or co-workers. However, we advise that you return to your normal activities only when you feel well enough. Easily available OTC drugs such as acetaminophen or ibuprofen can make your symptoms better. Nasal sprays may help decongesting your stuffy nose but if taken for more than a few days they make actually make your symptoms worse! Do not self-medicate! It is better to consult the specialists at our medical center in Hialeah and receive a correct diagnosis and an adequate treatment plan. To help flush the virus out of your system, make sure you’re adequately hydrated. Aim to drink at least 8 ounces of water every two hours. Fresh, cool and moist air can be soothing for your nose and make it feel less stuffy. Ensure you keep the water clean at all times – empty the tank every day and wash it out before you refill it. We strongly suggest this once-a-week routine: clean the tank with diluted bleach or lemon juice to keep mold and bacteria away. Extra tip: Exposing you sinuses to steam during hot showers will help decongesting your nose. Try also filling a bowl with boiling water and lean over it for 10 minutes with both your head and the bowl covered with a thick towel. Keep your nose approximately 10 inches above the water. Be careful not to start out too close to the hot water and to keep your eyes closed. As the liquid cools, you can move in a little, but only to the point where it remains comfortable! You might want to add a drop or two of essential oils; eucalyptus oil can help open the nose, while lavender essential oil or chamomile essential oil will calm you. In order to sooth your sinuses rather than inflame them, avoid inhaling cleaning agent fumes and stay away from places that have cigarette smoke. Also, try to stay indoors if air pollution levels are high. Did you know that smoking makes it more likely you’ll get another round of sinusitis? To all smokers: quit! The high pressure on board an aircraft raises chances of ear pain and may increase the inflammation. If you really have to take a flight, drink plenty of water during the flight as swallowing protects against clogged ears. Yawn and swallow when the plane climbs after takeoff and as it descends before landing. That will help keep the tubes between your nasal passages and your ears clear. Also, remember that hundreds of people in a confined space of a plane cabin make it a rather non-sterile environment where you may be exposed to a plethora of bacteria and viruses. When your immune system is compromised your body may be prone to catch infections it normally fights off easily. If you suffer from a sinus infection, drink plenty of fluids but not those which dehydrates you. And alcohol dehydrates you very quickly (coffee does that too!). Alcohol may irritate the lining of your nose and make it swell and that will make your symptoms even worse. Read more about RiteCare Medical Center in Hialeah – the best walk in clinic near you!